In those days, really big publishers could afford to advertise on TV, or in other magazines and newspapers. But most niche publishers relied on direct mail and the occasional bind-in or blow-in card. Not exactly a rich mine of marketing opportunities, was it? But when it comes to digital magazine marketing, you have many more options than you did with print. Some of these ideas may seem obvious, but I suspect there are at least a few you might not have thought of before. Naturally, you already have a website where you drive traffic via organic search, convert visitors to email subscribers and sell your numerous products, right? Don’t forget to sell your digital magazine app and web magazine there, too – believe it or not, I’ve stumbled across quite a few otherwise savvy publishers whose digital magazine is mentioned nowhere on their site! 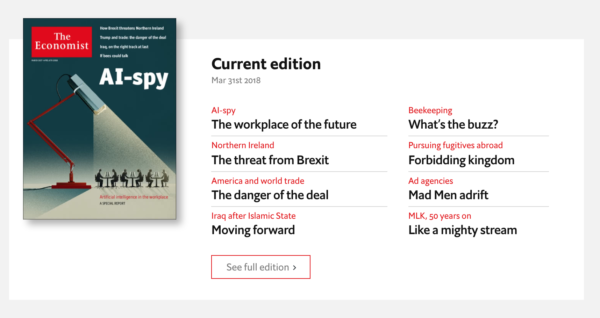 The Economist uses the bottom half of their screen to promote “full access” to their magazine, which includes the online and app editions. Right on the homepage, they promote the current issue of their magazine which links to specific feature articles. This gives the premium magazine content high visibility for potential subscribers. In the niche publishing space, look no further than our client the Biblical Archaeology Society, who features the all-access pass to their web library on their homepage below featured content. Just like offering digital subscriptions along with print on your website, you should always include an offer in your emails. 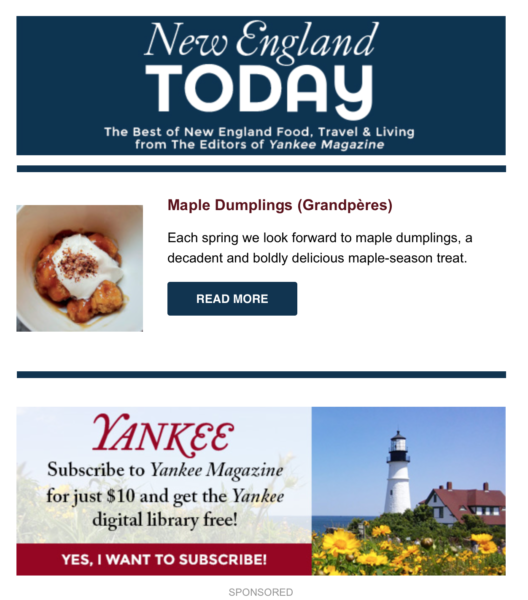 Yankee never misses an opportunity to let you know about their subscription, which includes their digital library, in every daily email newsletter through the use of display and text ads in between articles. In subscription marketing, we adapt this structure to continuously test both offers and creative. For many of our clients, we offer Six Sigma subscription marketing services. For one of our clients, we launched a high-frequency Six Sigma email spotlight program focused on selling more magazine subscriptions. We increased the number of magazine spotlights from the standard 2-3X per week to 5X per week and introduced editorially-driven creative to alternate between offer-driven creative. We saw a 70% increase in their TOPX (total orders per 10K email subscribers) from this program. The email campaigns for this particular client were planned and measured in 2-week cycles, where we’d identify the 5 best performing spotlights and the 5 worst performing spotlights in a given 2-week cycle. We’d keep the 5 winners and include them in the next 2-week email cycle, and we’d replace the 5 losers with brand new creative. Meanwhile, we are also testing the offer. For example, for this particular client, we ran one offer for 4 weeks and we ran a different offer for the next 4 weeks. While this approach is a significant amount of work, requiring active coordination between editorial and marketing, on-the-spot analytics, great copywriting, and interaction with fulfillment to manage the offers, we have seen it work and strongly recommend all publishers try it. There’s no excuse not to use one digital medium to promote another. But believe it or not, some of the biggest players have yet to figure this out – and yes, it absolutely makes a difference! 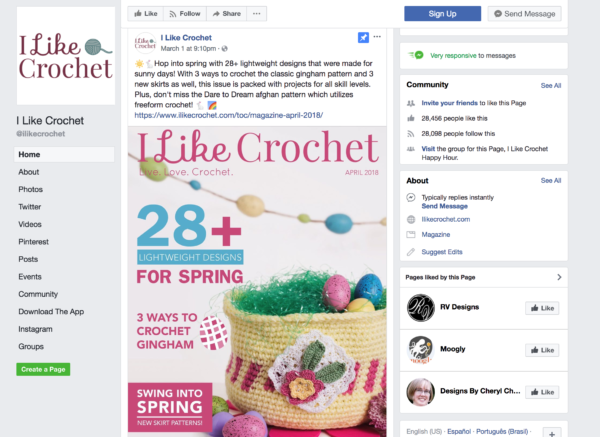 Below is an example from I Like Crochet, who is promoting their latest digital issue in the example below, with a big image of the cover, and a link directly to the online table of contents. Let’s face it: If you have a digital magazine app and it isn’t available in Apple’s app store, it doesn’t exist for the vast majority of digital magazine buyers. Other options you may also have already considered include Amazon, Google, Barnes & Noble, and Zinio. There are also new partner options worth considering, like Next Issue, a joint venture of Condé Nast, Hearst, Time Inc., Meredith and News Corp. If you have an app, there should be at least one free issue inside that a user can view. For web magazines, many of our clients are using metered paywalls, which allow users to sample several pieces of content before being met with an access-challenge page. If you have the resources, you could be buying space to advertise your digital magazine in other publications. In the past we’ve seen Bon Appétit advertised in Glamour. And you should definitely be including an offer to go digital when you renew or bill your print subscribers via snail mail. If you’re a legacy publisher with a valuable archive of evergreen content, schedule a free consultation with a member of our executive team to discuss how we can help you dramatically increase your subscription revenue and profits. This post was originally published in 2013 and has been updated. What is a Magazine Membership? Tagged with ad, Amazon, analytics, apple newsstand, content, digital edition, digital magazine, digital magazine app, digital magazine circulation, digital magazine marketing, digital subscriptions, economist, email, email campaigns, email newsletter, evergreen content, Floaters, glamour, hearst, homepage, magazine, magazine app, magazine marketing, magazines, media, new yorker website, newsletter, niche publishers, niche publishing, organic search, publishers, social media, subscription marketing, subscription revenue, subscriptions, text ad, the economist, the new yorker, web magazine, web magazines, zinio. All the points above are good insight however I do disagree with point #5. We have been publishing an iPad app version of our magazine for 20 months and started out by offering a free sample. Sales were flat. When we removed the free sample we saw sales increase. When we decreased the preview from 10 screens to 6 screens sales really took off. From our own research data the less free content consumers are offered the stronger the end sales. Thank you Ron. Can you tell me the market you are serving? It doesn’t sound like this was A-B tested of course, which would provide the most compelling evidence, but of course we often have to make do with imperfect information. I am interested to learn more about your experience if you’re willing to share with us. If you’d like you can contact me off line at Ed at Mequoda.com. Fanatstic artice Ed, much needed and very useful, I am sharing and ditributing this to all our Digital Magazine clients, especially the new ones. a) Bundling – selling packages that include both print & digital. b) Push notifications – Careful on the frequency though. Thank you Les. Regarding bundling, I recently wrote a post about decoy pricing for bundling that publishers are using to substantially increase the average order size. The New Yorker is just one of many that is having great success. Would love more info on this! HI Anila — in the hopes of clarifying, let me reiterate, you get the data and don’t pay Apple a fee if you sell the subscription through your site. It sounds like you are talking about about having Apple sell the subscription on their site. Then you do lose control of the customer data, and Apple takes a share of the subscription price. 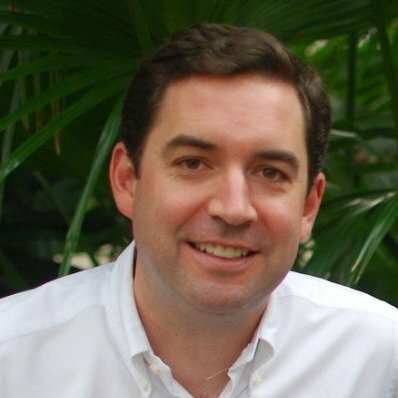 Hey Ed, but how can you sell subscriptions through your own website? In the End, we want Apple to handle all the billing, right? Is there a tool ne can use? And the latest rumors tell us, that Promo Codes should be available for inapp purchases anytime soon, too, right? Any information on this? Hi Ingmar — do you want Apple to handle everything? Most publishers don’t. When you sell the subscription on your site, you are able to offer bundles, and the bundled pricing we like to be able to to offer to make decoy pricing work (see our separate posts on decoy pricing if you haven’t already). You have to distribute your app through Apple but for most niche publishers, your marketing is going to generate most of the orders. Going “all in” with Apple it’s going to be hard for most to get the visibility you need to maximize your circulation. In response to an offline comment from a reader, I wanted to add that having some content included for free with the app is important but that can be a wide range of content, not just an actual live sample issue. As in the old direct mail days, a compiled issue may do better than an actual live issue. 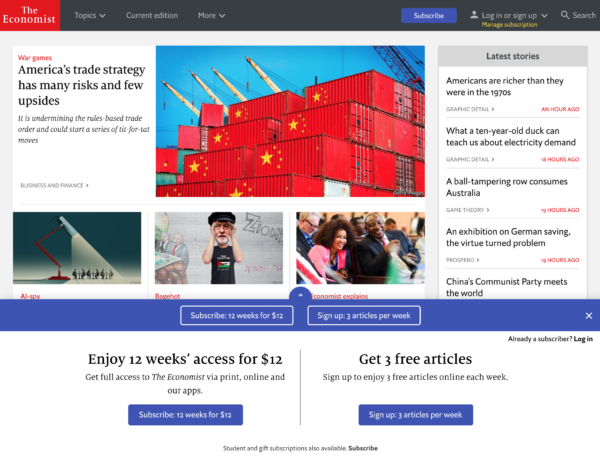 Also, publishers are experimenting with other types of free content including their free daily email newsletter content. We are still in early days but the good news is we’re not completely starting from scratch. Let’s not forget the lessons we learned in the pre-digital age. Being able to view and use Edition on Smartphones is an increasing, vital and fundamental requirement (I have recently seen some fantastic examples of this, happy to share).